Edward Daniel filed Israel Trademark Application Number 248534 for סטודנטים נשיאים – literally married students, in class 35, for publicity services and internet service promotions via coupons, discounts, comparative pricing data, product surveys, links to service providers and information on discounts. 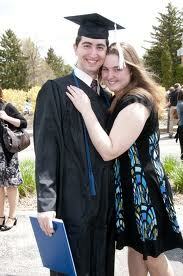 The services are provided exclusively to married students and to students that are engaged to be married. The application was filed on 6 August 2012 with a request for expedited examination, but was rejected as lacking distinctiveness as required under Section 8a of the Trademark Ordinance 1972, and as being descriptive of the services provided. The applicant appealed the rejection arguing that the name related to the target audience and not to the services provided. The applicant noted that the business was established in 1998 and originally published catalogues that were available from booksellers, but more recently via the services and products were made available via their Internet site. The Applicant argued that the name was at best indicative and a hint, but not descriptive, since the name סטודנטים נשיאים could be used by companies and organizations providing a wide variety of different services. He went on to note that a Google search for the term סטודנטים נשיאים gave 1310 results that all linked to his business, and argued that this showed a great deal of reputation had been acquired over the years. He noted that a third-party was using a similar website name and argued that this attempt to ‘free ride’ also showed that his business had required a reputation. The Examiner was not convinced that the term had acquired distinctiveness. Mr Edward Daniel submitted an affidavit to the effect that 37% of couples marrying are students, and 23% of them benefit from services of סטודנטים נשיאים – Studentim Nissiim. 25 couples had received grants, 130 service providers were linked to from his website, which attracted more than 2000 hits a month. Daniel provided details of his turnover in 1999 to 2012 and showed invoices carrying the mark. Daniels requested a hearing, and appeared before Deputy Commissioner Ms Jacqueline Bracha on 19 November 2013. Prior to the hearing, he submitted additional statistics showing a significant increase in advertising budget in 2011. During the hearing, Daniel submitted that as the only user of the combination of the two words students and married, it could not be considered descriptive. He submitted blog posts and comments in forums to show that students identified the term with his site and argued that it has an acquired secondary meaning. Daniels noted that the term could be used by a company arranging wedding ceremonies or matchmaking services, but wasn’t. Therefore the term was not exclusively descriptive. In her ruling, Deputy Commissioner Bracha noted that the word מתחתנים was more widely used that נישאים. Although, she considered the relatively obsolete construction was sufficient to make the mark more than merely totally descriptive she considered both terms to be descriptive and not merely indicative. She held that such a mark could be registered if it had acquired distinctiveness. To establish acquired distinctiveness, Ms Bracha reasoned that the mark had to have been in use for a long period, and widely enough to be recognized by customers as linked to the goods provided, and referred to the משפחה family decision. Noting the investment in advertising and the resultant increased sales, and the blog and forum mentions that used the term Studentim Nissiim as a noun to indicate the website, and the market segment based on unique hits compared to national statistics, and that no-one else was using the term, she was prepared to allow the mark to publish for opposition purposes. Ruling Ms Jacqueline Bracha, 16 January 2012. I think this decision is correct. However there is a certain inconsistency since American Apparel (see here) was refused as being wholly descriptive, and the term apparel is certainly more obsolete than clothing or garments. Unfortunately, there is little consistency in these decisions.